Can Dogs Eat Oatmeal? Raw or Cooked? Is It Good Or Bad For Dogs? Can Dogs Eat Oatmeal: Is Oatmeal Good Or Bad For Dogs? Today’s question: can dogs eat oatmeal? Is oatmeal good or bad for dogs? Scroll down for detailed answers. Many may have different ideas as to what oatmeal actually is. Depending upon where you live in the world, oatmeal may signify different things. In the United States the term ‘oatmeal’ can be visualized as flakes of grain and oats, or also referenced as the popular breakfast food. Oatmeal consists of grains (oat groats) that have either been ground rolled or crushed. The oats can also be used in the production of many foods including, muesli, cookies, oatcakes and the classic British flapjack bar. The oat grain itself is used in far more unexpected places, such as shampoos, conditioners, and moisturizing creams. But can dogs eat oatmeal? Oatmeal can be very beneficial for humans. The high beta-glucan content in the oats means it can lower blood pressure, and as part of a low-fat diet, has been shown to reduce the risk of heart disease. With the added benefits of oatmeal in humans, dog owners may feel the urge to offer this wonder grain to their pets as well. Clearly a great option for humans, which leads dog owners to ask can dogs eat it too? Is it okay to feed oatmeal to the dog while you are enjoying this healthy food? The answer is YES, dogs can enjoy oatmeal just fine, but take a few precautions before feeding Fido anything and be sure to read the rest of this piece first. There are always risks involved when offering your dog new foods and when offering the dog food meant for humans. Oatmeal is generally a whole food when bought as steel cut oats or shredded grain. Whole foods have less potential for disrupting one’s body and causing harm. Powdered oatmeal in packets may offer certain side effects to dogs because of preservatives and sugar content, but overall oatmeal is safe food for all to enjoy. Oatmeal can really be a great help to your dog if he is suffering from tummy or bowel problems such as upset stomach, uncomfortable gas, vomiting, diarrhoea or constipation. Oatmeal has a soothing effect on the stomach lining as well as a calming effect when one eats the warm comfort food. Put the two together, and you have a recipe for soothing any ailment. The best bit about oatmeal is the high soluble fiber content. This is great for keeping the bowel movements of your canine companion regular and in good order! Less time cleaning up messy spots. Foods with high fibre soluble content also raise the immune system of your dog by keeping their body free of toxins. Strong immune systems leads to less sickness and longer life. High fibre food will also keep your dog feeling fuller longer than usual, thereby lowering the risk of begging. The fibre from oatmeal can also help overweight dogs by helping lower cholesterol levels. Fibre also plays a role in managing sugar levels, keeping your dog happy and on an even keel. Keeping a stable level of sugars will keep your dog at a low risk of diabetes as well. Dogs develop diabetes just as humans do, so keeping the sugars of your dog balanced is an important aspect of pet ownership. Oatmeal can aid in this task and is perhaps a better treat to offer than a Milk-Bone or cookie. Obesity, like in humans, can lead to high blood pressure and heart conditions (although this problem is less common in dogs as they don’t tend to live long enough). Oats are high in protein too, great for promoting healthy growth and muscle development. They have iron content and also manganese, which works as a catalyst for the body enzymes to produce fatty acids and energy. The oats also contain vitamins, including Vitamin B-5 (panthothenic acid) which enables the body to extract energy from carbohydrates, proteins, and fats. This also supports a healthy looking and feeling coat. Vitamins B-6 and B-9 (folate) are also present. If these amazing beneficial factors of oatmeal are not enough, the oats are also rich in silicon, which helps to keep the bones strong. As mentioned earlier, oatmeal is used in shampoos and moisturizers because of their soothing and healing properties. So as well as consuming the oats, the actual oats can be used in specific dog shampoos and soaps to help relieve itchiness and soothe a dog’s irritated skin. 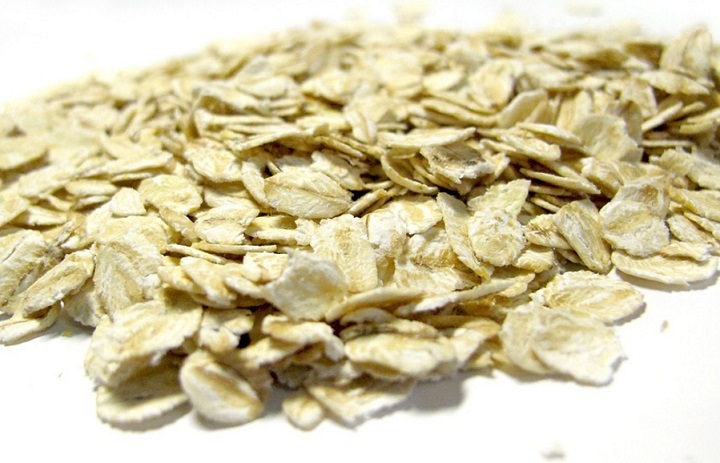 Humans know the effects of oatmeal on their own itchy, red, dry skin, especially in the winter. Imagine the benefits a dog would feel. Dogs do not have the ability to understand the need for lotion, determine the best brand, purchase the lotion, and apply as needed. Offering a homemade oatmeal treatment for the skin will allow your dog to be relieved of itchy and irritated skin. Dogs that have itchy and allergic tendencies in their skin tend to be those who choose to chew their irritated skin endlessly. The itch is difficult to stop, and dogs are able to scratch their skin hard with their teeth. The chewing of one’s skin can lead dogs to serious cuts and abrasions and may even lead to infection. Stopping the skin irritant before it starts is a good treatment plan. Products made with oatmeal are wonderful for the skin and will only benefit your dog if you choose to use it. Interestingly, this calming effect oatmeal has on the skin, also works on the nervous system. Oatmeal is great for the more anxious dogs out there. Oatmeal must be cooked before feeding it to your dog. Plain varieties of oatmeal without added fruit or flavorings are recommended, and likewise, ensure there is no added salt or sugar either. Added salt and sugar keep the benefits of oatmeal out of balance. To keep the benefits of oatmeal high, serve your dog only pure oats. A sugar spike from processed oatmeal will lead to health problems, whereas as whole oatmeal will help resolve health problems. Avoid the instant oatmeal; this tends to be packed with more artificial flavorings and ingredients. It is also safer to prepare the oatmeal using water instead of milk in case of any adverse reaction between the dog and the milk. A helpful hint for all dog owners is to always let oatmeal cool before serving. The eagerness to eat the comfort food may lead to a few burned doggie mouths. Oatmeal should not be a replacement for your dog’s regular diet and it is best to use it sparingly. Ideally if your pet is actually suffering from gastric problems. Older dogs typically get the most benefit; their digestive system is most in need of some assistance. Using oatmeal as a tool to occasionally clear tummy upset or soothe nervousness is good. As is using oatmeal on the skin and hair in an effort to soothe abrasions. A dog does not need constant use of oatmeal, either internally or externally, to be healthy. If you find yourself relying too much upon oatmeal, you may want to contact your vet to find another remedy or check for a larger problem than you suspected. There have been an increasing number of cases of wheat and gluten intolerance in dogs that mirrors the increase in human cases. No one is entirely sure why wheat and gluten intolerance are on the rise, perhaps it is due to the effects of the urban environments most of us now live, or perhaps it is dog owners projecting their own fears onto the dog. Maybe we are just more aware of these intolerances, and they always existed but we just didn’t know or understand them. Be sure to identify factors that the breed of your dog may find intolerable in oatmeal before serving. Bearing that in mind, it is good to know that oats are low in gluten, (not quite zero but just a very small amount), certainly much less than wheat. Even though oatmeal is low in gluten, some are so sensitive to gluten that even a small amount can be upsetting to the system. Oats make a great wheat replacement. Oats also make a great bread replacement in recipes that call for bread crumbs. There is also no genetic modification occurring with oats, which is good to know for those concerned about ‘Frankenstein Foods’. Oats are whole foods without risk of toxins, poison, pesticides, or chemicals being discovered within. Oatmeal is one of the better whole foods made for humans that dogs can consume. Like humans, there is always a chance the dog may be allergic to the oat grain, but that is very rare (much less common than say wheat). Oat grain is the widest tolerated grain for dogs! You can use oat grain as a treat or as an occasionally addition to your dog’s food. Mixed with a little kibble or moist food, and the oatmeal should be very well tolerated and the benefits should begin to show in the wellness of your pet. 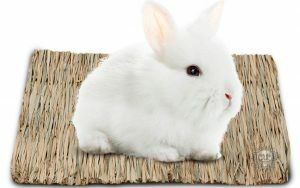 For these reasons, and like all foods it is best to introduce slowly and carefully. Oats can really benefit their digestive system and are jam-packed with fiber. Just remember to be sure to cook the oatmeal first and try to avoid flavorings. Forgetting this helpful hint may cause more harm than good while turning both you and your dog off from trying oatmeal ever again.